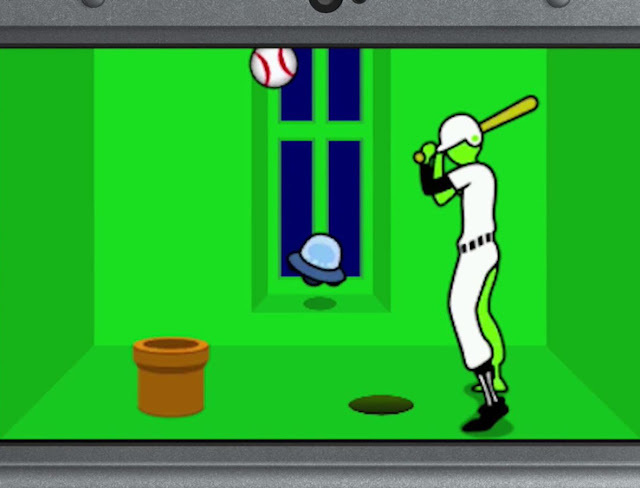 If you've never played a Rhythm Heaven game before, the upcoming Megamix will be the perfect opportunity to remedy that. A compilation of the best minigames from all the previous Rhythm Heaven titles, Megamix is promising a lot of gameplay for your buck. There's 100 odd minigames in this package, taken from the GBA, DS, and Wii Rhythm Heaven titles. While that probably doesn't sound like too much, there's something you need to know about these games; they are hard. The precision timing that they demand is absolute, and indeed the series was conceived as a way to help people improve their sense of rhythm and timing. So actually mastering all 100 mini games is going to be a long road of work indeed. The other thing you'll notice from the E3 trailer that Nintendo released, is that the game is ridiculously charming. Each rhythm game has a completely different theme, but what is common between them is the bright characters and colours, charming animation, and cute designs. I must admit that I was rather disappointed that this is coming to the 3DS rather than the Wii U, because the Wii Rhythm Game was one of the best looking games that console ever produced, but given that most of the games in this package will be pulled from handheld consoles, it makes sense to repackage them up on to another handheld console. People rarely consider Rhythm Heaven to be one of Nintendo's premier franchises, but people who actually play these games are almost guaranteed to love them. And that means it's actually far better at padding out the 3DS's release schedule than people might give it credit for. Apparently the game is available right now in America. Sadly, it's not coming until October until October this year for Australians an Europeans. We'll be picking it up as soon as possible for a review, but if it's even half as good as the previous Rhythm Heaven games, then our American friends have no need to wait for that - grab it now!